Tappan / Kittle bridge was originally constructed in 1906 by Jerome Moot. The only portion of the original bridge that remains is the framing, thus it does NOT qualify for the National Register of Historic Places. The bridge was named after a road situated nearby called Tappan road. 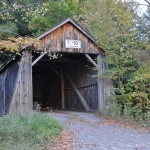 It is located in the Town of Hardenbergh south of NY-56-02 (Forge Bridge), 8.5 miles of Arkville. 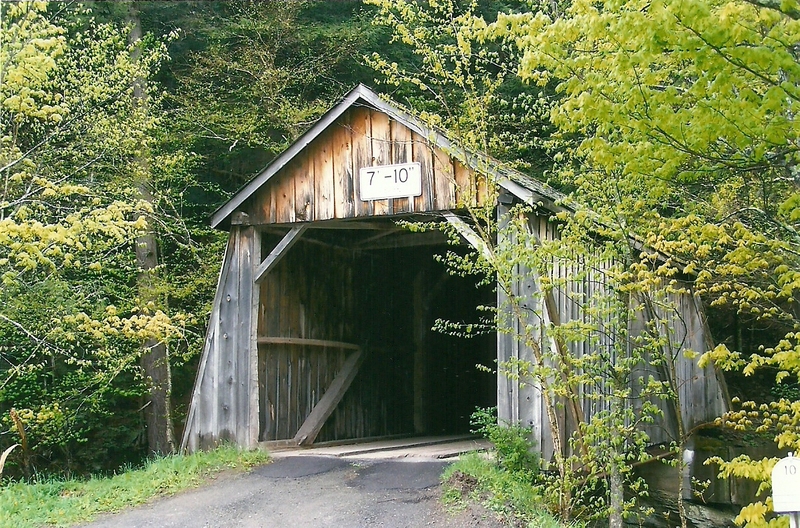 It is over the Dry Brook, a single span of 43 feet of King post truss. 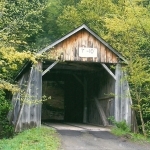 The Tappan-Kittle Covered Bridge is one of five covered bridges still standing in Ulster County. 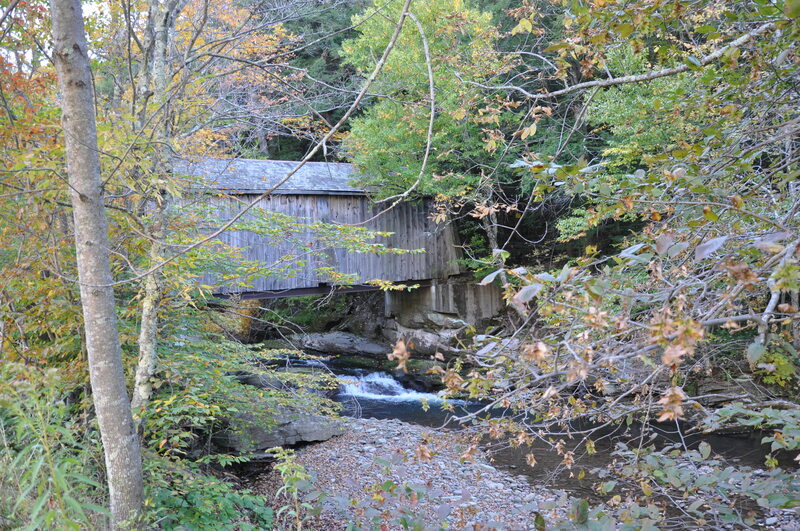 It is owned and maintained by the Town of Hardenbergh and carries local traffic across Dry Brook. 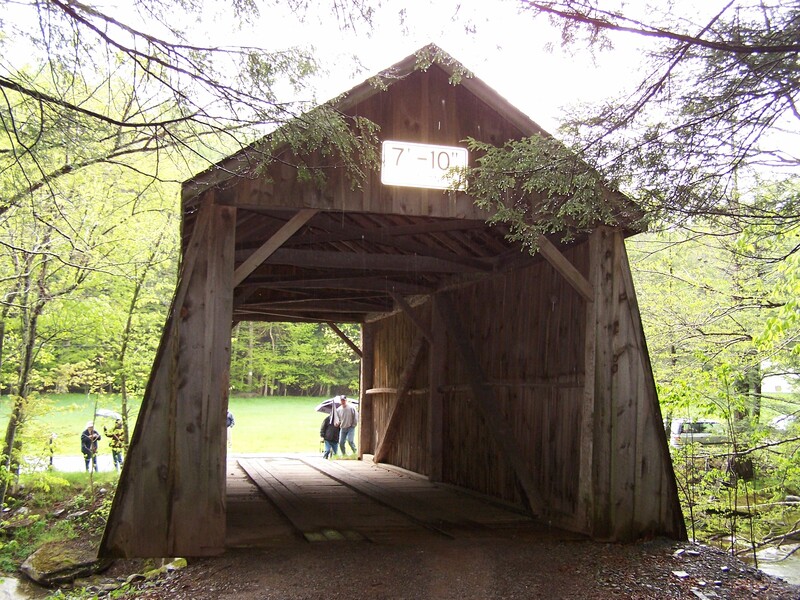 Built by Salem Jerome Moot in 1906, this 43-foot-long, single span structure once incorporated a Kingpost truss design. 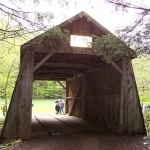 The Tappan-Kittle Covered Bridge is very similar in dimensions and design to other bridges in the Catskill region, all of which feature buttresses. The Tappan-Kittle has three such buttresses on each side. This wooden span has quietly served its purpose for many years, vibrating as travelers passed through its portals braving the most severe floods and watching decades of seasons merge into another. But time eventually took its toll on the little bridge. In 1974, the roof was re-shingled with red asphalt. Poles were wedged from the brook bed below to help hold up the trusses and in the summer of 1976, cables were attached from nearby trees to the underside timbers to give a lifting support. Local residents have been known to call this bridge Crook’s or Kittle’s Bridge after property owners who have lived on the other side of the brook. 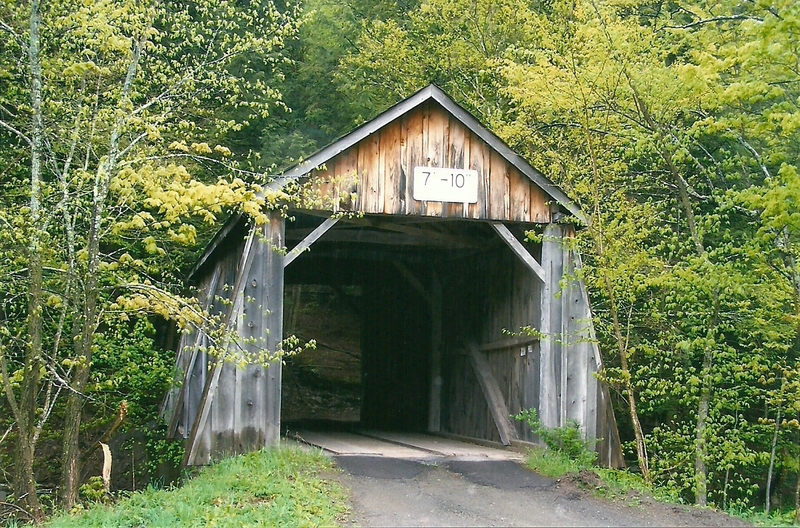 Today, it is simply known as the Tappan-Kittle Covered Bridge. This bridge was totally rebuilt in 1985 and today is supported by I-beams. Only part of the framing comes from the original bridge. The original Kingpost truss design no longer actually supports this bridge as it was originally designed to do, so it is now classified as a Stringer. 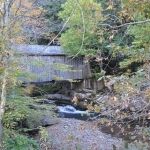 From Forge Bridge, less than one mile south on Dry Brook Road, one mile further is a modern covered bridge called Myers Bridge. 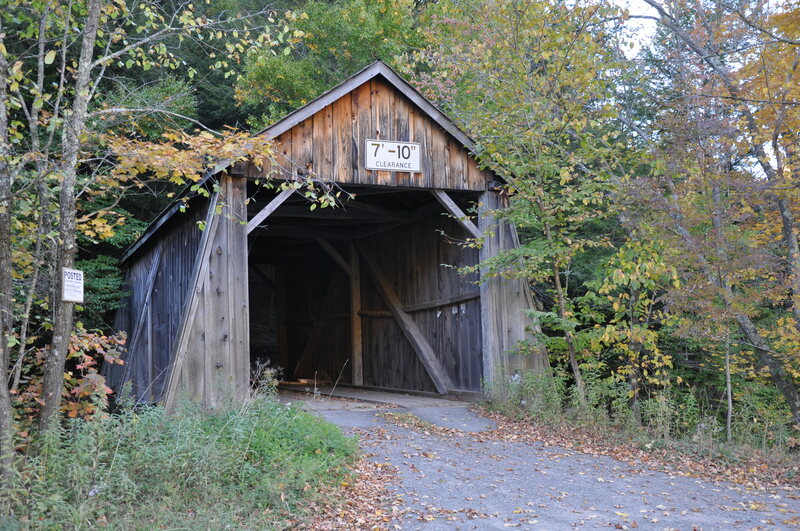 If you are not visiting Forge Bridge first, from the new bridge across the Dry Brook on State Route 28 in Arkville, take Dry Brook Road for almost 7.6 miles to the Forge Bridge, then one mile additional to Tappan / Kittle.